Looking for a VPN? You might have looked at our list of the best VPN services The Best VPN Services The Best VPN Services We've compiled a list of what we consider to be the best Virtual Private Network (VPN) service providers, grouped by premium, free, and torrent-friendly. Read More , where you will have found IPVanish, a popular option. Well, the time has come to find out a bit more about IPVanish, and whether it stands up to the high requirements of VPN users. Well, we’ve been compiling lists of the best VPN tools and evaluating them for review for the past five years. During that time, VPNs have evolved from tools occasionally used within the SME space for secure mobile working. 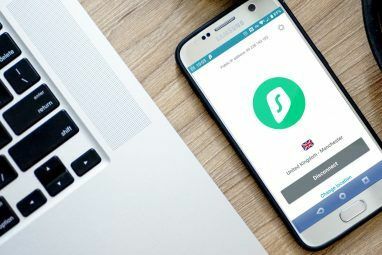 They’ve added features for speed, enhanced encryption for superior privacy, and support for streaming video, and P2P downloading. In short, there is a whole industry of VPN services out there, and we’ve been digging through them all to find out which ones you should be using. We’ve seen it all, and we love this one. So, why are we suggesting you consider IPVanish? In short, it’s because of the features. The ease of installation is also an advantage, though! We’ll look at that below, but first, an overview of what you can expect with IPVanish, which you’ll find at www.ipvanish.com. Offering high speeds across an amazing 700+ servers, situated in 60+ countries around the world, IPVanish offers a choice of an unparalleled 40,000+ IP addresses. This gives you the ability to surf anonymously (until you log in to a web-based account, of course!) and enjoy region-blocked content around the world. IPVanish subscribers enjoy unlimited bandwidth, and it is using the 256-bit AES standard. This means that your data is protected from packet sniffers from beginning to end. 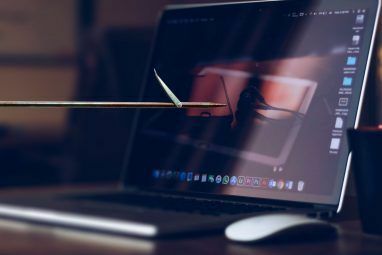 Ever heard that using public Wi-Fi is dangerous and insecure 5 Ways Hackers Can Use Public Wi-Fi to Steal Your Identity 5 Ways Hackers Can Use Public Wi-Fi to Steal Your Identity You might love using public Wi-Fi -- but so do hackers. Here are five ways cybercriminals can access your private data and steal your identity, while you're enjoying a latte and a bagel. Read More ? Install a VPN client like IPVanish, and you can overcome this issue. Happily, IPVanish also maintains zero traffic logs, P2P support for Bittorrent and other peer-to-peer downloading, and up to five simultaneous connections to its servers across devices. And if you run into problems, IPVanish provides 24/7 support and if you find the service lacking, a 7-day money-back guarantee. Three main payment options are available. The best value is to pay for a full year, at a rate of $6.49/month (this translates as an up-front payment of $77.99). However, if this is your first VPN, you’re unsure as to whether you want to use this service, or you simply don’t have the budget for that sort of all-in-one outlay, other options are available. For instance, you can get a $10/month subscription. This can be cancelled on a month-by-month basis. Or you may prefer the 3-month subscription, where you are billed at $26.99 every three months. That works out at $8.99/month. Whichever option you choose, you’ll receive the same depth of features and support by signing up here. IPVanish can be used across every device you own. For desktop, get it on Windows (as featured in this review), macOS, Linux (specifically Ubuntu), and Chromebook. For mobile, app clients of IPVanish are available for iPhone/iPad and Android. Windows Phone/Windows 10 Mobile users are supported by way of manual setup (that platform has an easy-to-access VPN management tool built in). You’ll find details for all of these at its website. If for some reason, you don’t own any of these devices — or you don’t want to install an app — IPVanish also offers an OpenVPN router configuration. Configuring your router for use with a VPN means that every device in your house will enjoy private and anonymous browsing, as long as it is connected to the router. For the best results, you should have installed DD-WRT on your router What Is DD-WRT And How It Can Make Your Router Into A Super-Router What Is DD-WRT And How It Can Make Your Router Into A Super-Router In this article, I'm going to show you some of the coolest features of DD-WRT which, if you decide to make use of, will allow you to transform your own router into the super-router of... Read More , or it should be flashable, as per the IPVanish list of approved routers. If you don’t want to use the DD-WRT router firmware, Sabai OS is also supported by IPVanish. So much support means that your browsing can remain private wherever you are and on whatever you’re using! Once you’ve signed up and logged into the IPVanish website, you’ll be able to download the desktop client. If you’re using a mobile app, download it from the corresponding app store — you’ll be prompted to enter your IPVanish credentials upon launch. On the desktop, we’ve tried out the IPVanish client for Windows 10, but the end results should be the same across all platforms. Note that with Windows, you will need to restart your computer after installation. After agreeing to the User Access Control warning, enter the username and password that you configured when you signed up, and wait as the server list is updated. This shouldn’t take long. There’s a tutorial you can view if you want, or you can skip and get straight into the task of choosing a server and browsing the web. This is clearly presented, and efficiently done by selecting from drop-down menus and clicking Connect. Various options are available via the Settings menu, where you can use the General tab to configure autoload options for when Windows boots, the Connection tab to manage DNS and IPv6 Leak Protection (a security problem with VPN clients — see below for more) and the IP Settings tab to specify how often you want the IP address to be changed. You can also change from the IPVanish DNS to select third party service here, while the Logs tab displays a record of what you’ve done with the client. If you find the main screen too intrusive, meanwhile, IPVanish has a Simple Mode, which you can enable in Settings > General. With the mobile version, we tested Android, but the results should be similar for iOS. Simply install, sign in, and Connect. There is a good attempt to mirror the options of the desktop client, as outlined above. If you’re happy with IPVanish, open the Settings menu to ensure the mobile client automatically launches when you start your phone. This will ensure encrypted connections to the internet at all times. To test the speed of IPVanish, we used a standard speed test browser tool, once with the client running, and again without. To test the Windows client, I visited www.speedtest.net, and tested the results with the IPVanish client connected, and then again with the client disconnected. Although slower than hoped in this instance, I’ve had faster results with servers in France and the Netherlands. (Speedtest’s beta service was unavailable in the UK while testing). As you can see, IPVanish passed! I also took the time to check IPVanish’s speed using the mobile version over an open Wi-Fi network. Using the Speedtest.net app, the results are shown here. The earlier entry is with IPVanish running, and as you can see, the connection is quicker, no doubt due to the anonymizing. Just look at the difference in ping times! To evaluate the Android client further, I again checked for DNS leak, this time with www.dnsleaktest.com. Happily, the results were favorable, as you can see above. Just one server is listed — the server selected by the app — which means that the IPVanish Android app does not leak DNS (or other) information. Using a VPN gives you freedom to visit the websites you want to, without worrying that your activity will be detected — and acted upon — by unreasonable government policy, or “nanny state” censorship. If you live under an oppressive regime, a VPN like IPVanish gives you the opportunity to communicate with the outside world. Perhaps you need to upload footage of abuses, or simply access a social network that is banned. Virtual Private Networks are perfect for obfuscating your activity. Now we know that IPVanish does not suffer from DNS leak issues, we can be reasonably confident that it is safe and secure for its customers. There is one other question, however, that of server logs. VPNs are required to keep logs of different types, perhaps as part of the deal with the servers they use, or perhaps due to government policy where the servers are located. Server logs is one of the contentious issues with VPNs 5 Ways Your VPN Is Not as Private as You Think It Is 5 Ways Your VPN Is Not as Private as You Think It Is Your VPN is not as secure or private as you think it is. We explain why you and your browsing history might not be anonymous after all. Read More and their claims of trust. Getting around location (or regional) media streaming restrictions is simple with a VPN. All you need to do is select a server in the country where the media is permitted, and visit the website or app. Here’s an example: Pandora. A few years ago, they closed their doors to listeners from outside the USA. As such, I’ve been unable to regularly enjoy the service’s excellent library and song selection without employing a VPN. By simply selecting United States as my “location” and New York as the city (roughly the closest US city to the UK, to aid with a faster connection), I was able to enjoy some Led Zeppelin and the subsequent selection of tracks. A win for IPVanish! One of IPVanish’s strengths is support for P2P services, such as Bittorrent. Does using this VPN restrict Bittorrent use? However, if you use Bittorrent, you might have discovered that VPN services are not favorable to the bandwidth that is required. How good is IPVanish’s support for P2P? Perfect! Our tests show that P2P downloads work exactly as expected, reaching good speeds. There may be a slight reduction in overall speed depending upon your proximity (or otherwise) to the selected IPVanish server, but their much-vaunted reputation for supporting torrenting is well earned. Note: MakeUseOf does not support or recommend using torrents for illegal activity. We’ve destroyed location restrictions. You can use P2P file sharing without restriction. Your VPN activity is not logged. Censorship and online oppression has been circumvented. You’ve got speed, high bandwidth, and not a leaky DNS in sight. 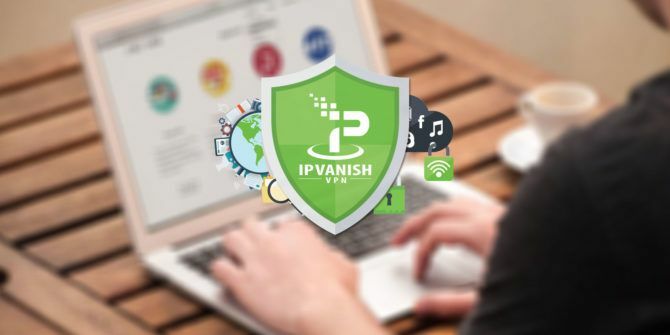 In short, IPVanish is a solid, outstanding VPN service, with 256-bit AES encryption, with SOCKS5 obfuscation for logging into VOIP and P2P services to maintain your privacy where encryption isn’t possible. With mobile and desktop apps, a DD-WRT image for routers, three affordable price plans, and a surprisingly simple client application, IPVanish has everything you need and expect from a VPN service. I use VPN on my mobile most of the time. The app is buggy, it disconnect frequently and can't even click OK. Support can't help fix it. Will not recommend this to my friends.